Appraise – Capital Endeavors, Inc. Whether selling your business, bringing in a partner, creating or updating a buy/sell agreement, planning an E.S.O.P., developing stock options for employees, going through divorce proceedings, planning a transfer of the business to your children, developing a trust for your future estate, or any other similar reasons, Capital Endeavors, Inc. has a team that can provide a full line of appraisal services to fit your needs. The various options are listed below. Please give us a call to discuss the various levels of opinions of value that will best fit your needs. All our reports follow the standards of the Institute of Business Appraisal and (USPAP) Uniform Standards of Professional Appraisers. Capital Endeavors, Inc. can also offer appraisals through our affiliates with certified designations by the Institute of Business Appraisers and the American Society of Appraisers. Preliminary Appraisal Reports are a brief oral or written report, generally in letter format, that reflects our limited opinion. These reports are best suited for planning purposes and when both parties have hired the appraiser. It is understood that the preliminary appraisal and a preliminary appraisal report exclude much of the research and procedures typical for a formal appraisal. If a formal appraisal were done, a materially different conclusion could be reached. A preliminary appraisal is not appropriate to support gifting, estate settlement or other tax-related matters, or other situations where a reliable and fully documented opinion of value is needed. With respect to litigation, a preliminary appraisal report is reasonable for case assessment and preliminary discussions, but it is not appropriate for introduction to support a position taken at trial unless the appraiser is jointly retained by all parties to the litigation. A preliminary appraisal may not include a tour of the business, in-depth industry research or an in-depth interview of its management. A preliminary report may state a single amount or a range of value. It may also include a range with respect to discounts or premiums which may apply. Generally speaking, preliminary appraisals rely on only one or two pricing methods and those methods do not include discreet forecasting or comparison with publicly traded companies in the same or a similar industry. When an appraisal is needed for a possible sale, a Net To Seller Statement can be included with a narrative of the best targeted Buyer for the Company. When the appraisal is needed for a target purchase, the report can also include a Statement of Need Funds for the Buyer. Formal Written Appraisal reports are comprehensive in nature. These reports are ideal to support gifting, estate settlement or other tax-related matters; and needed when supporting a position taken at trial. These appraisals include a tour of the business, in-depth industry research, in-depth management interviews, and discreet forecasting and comparisons with publicly traded companies are considered. Capital Endeavors, Inc. can provide non-advocacy Expert Testimony in an oral report that will be in the form of testimony in a deposition and/or on the witness stand before a court of proper jurisdiction or other tier of fact. This type of testimony can also be used in mediation to help bring the parties to agreement through a better understanding of how businesses are valued and what the value drivers are in the market for the specific subject company. If you are curious as to what is entailed in a valuation process, the general steps have been listed below. Generally, 3 to 5 years of your financials including supporting documentation needs to be analyzed to determine what price your business might bring. 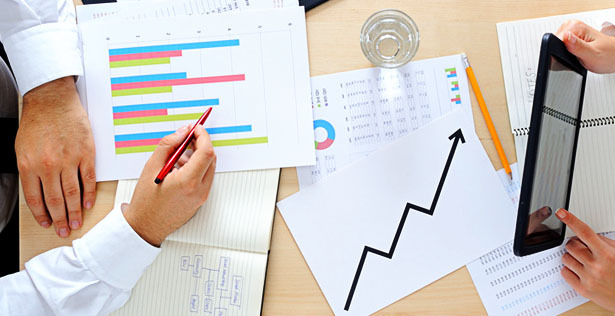 We will also have to develop with you growth rates and estimate your future business plans. Once you have provided all the information to us, we are able to provide the final report with a three to five-week period depending upon the type and form of appraisal being requested. After Capital Endeavors, Inc. has reviewed the provided information, we will compile a list of questions to be answered in written format or verbally by the client. This detail helps us truly understand where your company has been and what its chances of success are for the future. After reviewing all the data, the next step is to visit the business and its location(s) which will provide Capital Endeavors, Inc. with a better understanding of the business and possibly bring up additional questions to review. Depending upon your needs, we will review the final report with you in person or by phone. It is very important that you understand the basic concept of how the value was determined. If you do not have a basic understanding, the final value or range of value will be of minimal importance. The more you understand why and how the value was determined, the more comfortable you will be with the results of the application of the value to your situation of need.